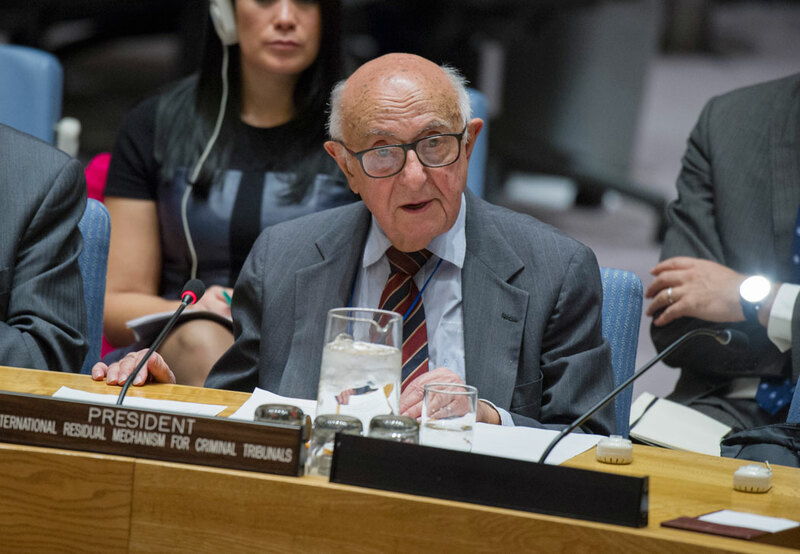 The President of the Mechanism for International Criminal Tribunals (Mechanism or MICT), Judge Theodor Meron, on Thursday, 9 March 2017 notified the United Nations Security Council (UNSC) of the failure of the Republic of Turkey to comply with its obligations to cooperate with the Mechanism and to comply without undue delay with a judicial order issued by the Mechanism. On 31 January 2017, Judge Meron, acting as Pre-Review Judge in the case of The Prosecutor v. Augustin Ngirabatware, ordered Turkey to cease all legal proceedings against Judge Aydin Sefa Akay and to take all necessary measures to ensure Judge Akay’s release from detention, no later than 14 February 2017, so that he could resume his judicial functions in the Ngirabatware case. That order was binding on Turkey under UNSC resolution 1966 (2010), which requires that all States comply with orders issued by the Mechanism. In a Decision issued on 6 March 2017, Judge Meron, observed that there was no information before him that the domestic legal proceedings in Turkey against Judge Akay had ceased, that he had been released from detention since the issuance of the Mechanism’s Order of 31 January 2017, or that such actions might otherwise be imminent. Judge Meron concluded that Turkey’s non-compliance with the Order of 31 January 2017 materially impeded the Appeals Chamber’s consideration of the merits of the Ngirabatware case and threatened the independence of the Mechanism’s judiciary. Judge Meron further determined that, pursuant to the Mechanism’s Rules of Procedure and Evidence, the matter should be reported to the UN Security Council. Judge Akay, a member of the Appeals Chamber Bench in the Ngirabatware case, was detained in Turkey, on or around 21 September 2016, in relation to allegations connected with the events of July 2016 directed against the constitutional order of Turkey. He has remained in detention since that time. In accordance with the Mechanism’s Statute the judges of the Mechanism enjoy privileges and immunities accorded to diplomatic envoys under international law when engaged on the business of the Mechanism, even while exercising their functions in their home country. The UN Secretary-General has formally asserted the diplomatic immunity of Judge Akay to the Turkish authorities and requested Judge Akay’s immediate release and the cessation of all legal proceedings against him. Augustin Ngirabatware, the former Rwandan Minister of Planning, was sentenced to 30 years of imprisonment for committing direct and public incitement to commit genocide and instigating and aiding and abetting genocide. On 8 July 2016, Ngirabatware filed a request for review of his convictions on the basis of new facts that he claims exonerate him. With Judge Akay’s continued detention, the proceedings on the merits of the case remain at a standstill.